On Wednesday the 27th of March is the final end. After 55 years in the Danish Defense and Four Updates, the classic M113 armored personnel carrier was finally phased out for the benefit of the new Piranha 5 vehicles. 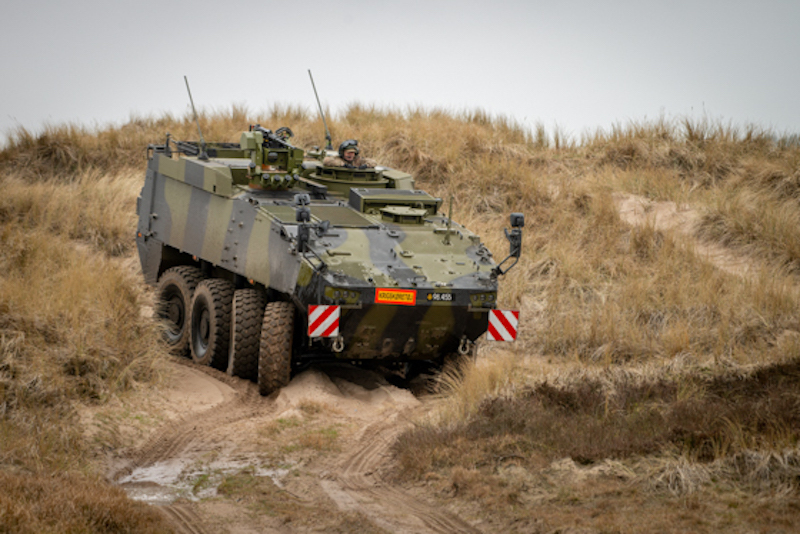 Together with the also new Eagle 5 armored patrol vehicles, they will constitute the rootstock of the construction of the new Danish armored brigade. Defense Minister Claus Hjort Fredriksen emphasizes the future in the purchase of the new vehicles in his opinion. According to Chief of Defense, General Bjørn Bisserup, the transfer of the new vehicles marks a milestone towards the army of the future. A total of 309 Piranha 5 have been purchased, all of which must be delivered in early 2023. Piranha 5 comes in six different variants, including an infantry edition (pictured) equipped with heavy machine gun in a stabilized weapon system. The Eagle 5 patrol vehicles, also supplied by Swiss MOWAG, are an upgraded and updated version of version 4, which, like its predecessor, is a flexible and robust patrol vehicle, but better armored. A total of 36 Eagle 5 vehicles have already been delivered, but over the long term all Eagle 4 must be replaced by the Eagle 5 vehicles. With the introduction of Eagle 5 in active service in both emergency preparedness and international tasks, part of the existing Eagle 4 will be transferred to training missions. - In addition, solutions have been included in support of Afsiddet Battle Management Systems (ABMS) in both Eagle and Piranha, so once we are at a given focus area, our people will be optimally prepared to solve the task. -- Six variants: Infantry, Command, Sanitary, Mortar, Mechanic and Engineering. -- Five variants: Patrol, Clearing / Closing, Clearing / Open, Logistics and Electronic Warfare.